Sticky Back Pouch Measures: 2 1/4" x 3 3/4"
Laminate Item. Peel and Stick. Works in most standard pouch laminators. Each Pouch Measures: 2 1/4" by 3 3/4"
Available in 5 mil thickness. 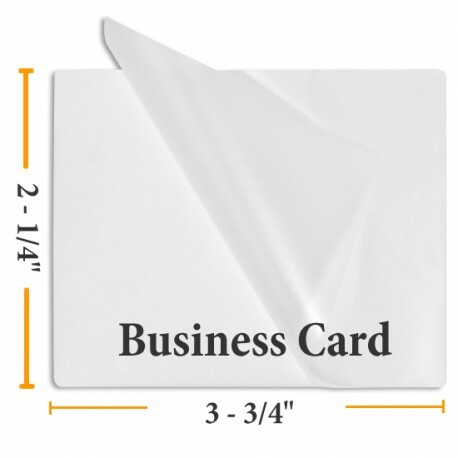 Sticker Back Business card size laminating pouches come in a package of 100 and are used to protect standard sized business cards or paper of the same size from spills, stains, tearing and folding. Laminated items can then be mounted to any surface using the peel off adhesive back. The sticky back on these pouches allows you to peel off the paper on the back after laminating and adhere to another surface. 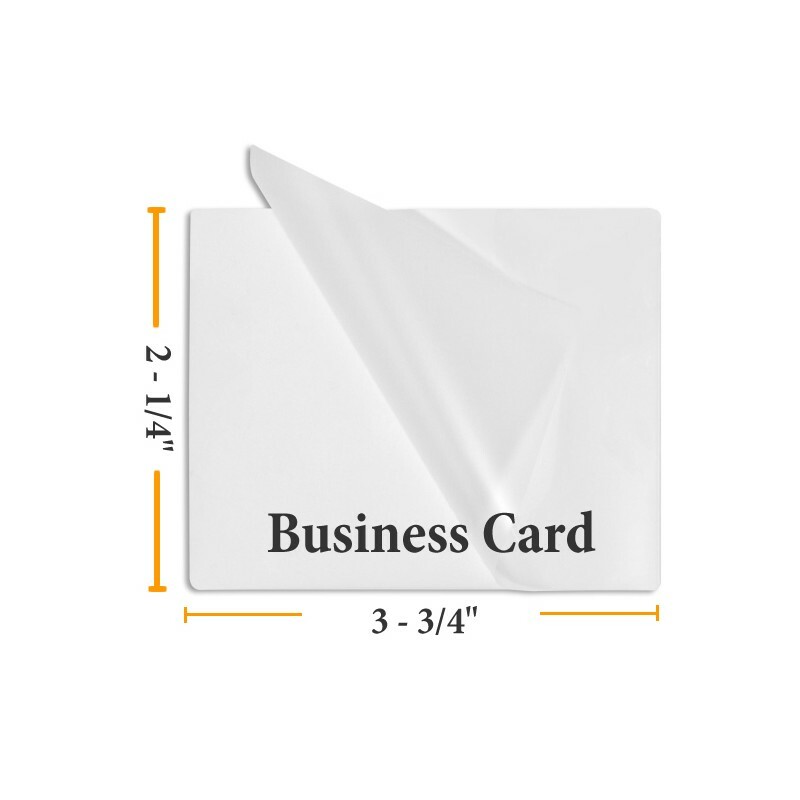 This is great for adding your business card to presentation folder, labeling files, drawers or other use where you need to adhere small laminated item. Laminating pouches are intended to be used in pouch laminating machine. A laminating pouch is sealed on one edge for your laminating convenience. The document or item is placed inside the laminating pouch and placed in the hot pouch laminating machine to seal. After thermal lamination, peel off back to reveal self stick, adhesive back.